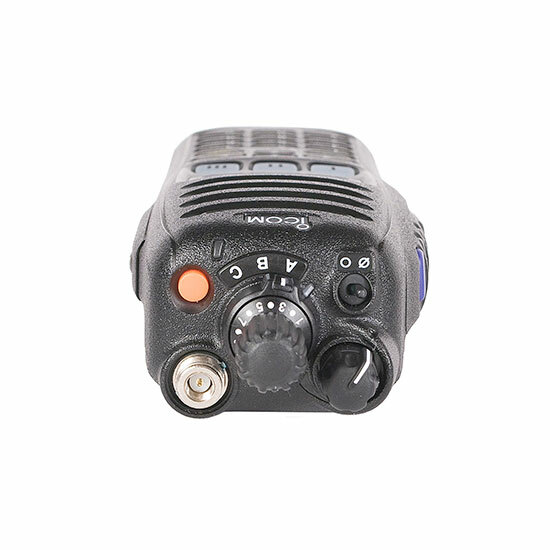 Heavy duty and portable, the F9011 and F9021 radios offer both analog conventional and P25 digital conventional operation. The P25 trunked option can be added to operate on local, regional or statewide P25 systems. Designed specifically for the public safety user, the F9011 portables provide excellent operation for both gloved and non-gloved users alike. This product series offers ergonomic advantages that make daily operation comfortable and tactical as expected. 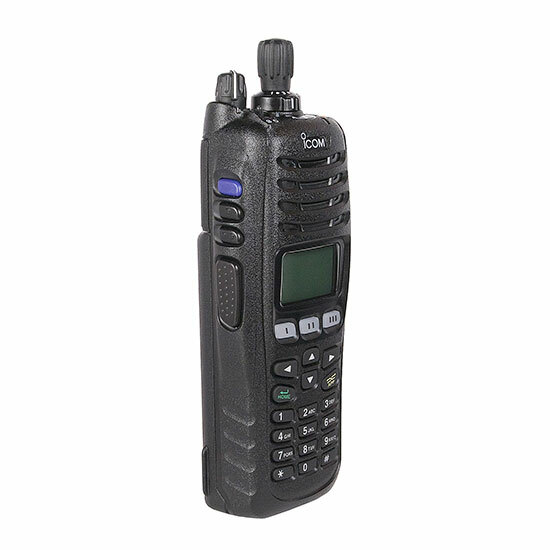 Users can choose from a basic non-display, display or display with keypad model. The large 24 character LCD displays various operating statuses and the 4-way cross keypad on the front panel provides an intuitive user interface. 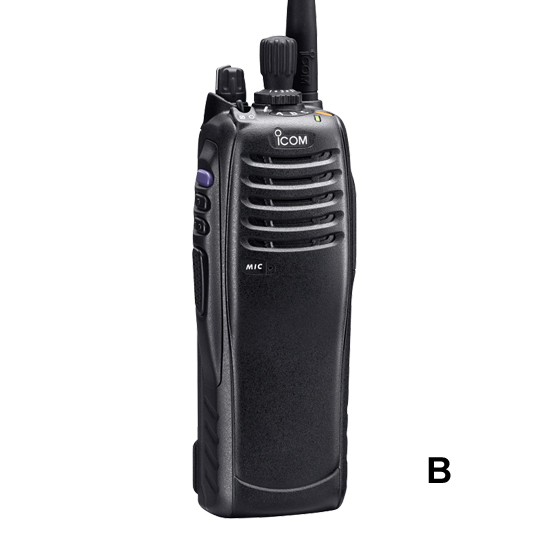 Icom is the smart choice for current – and future – public safety communication needs. The conventional voting mode scan detects the signal strength level of repeater stations and automatically selects the strongest station, useful for roaming between two or more repeater sites. After programing the voting mode to a memory zone, the user can easily start voting mode operation by changing the zone setting. 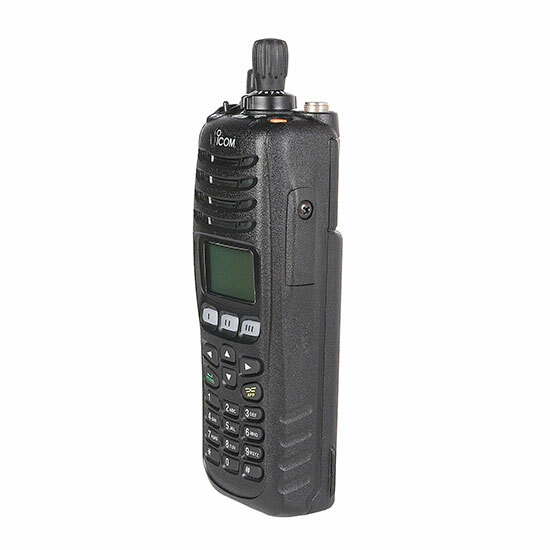 Conforms to the standard specifications for TIA/EIA TSB-102, CAAB, Digital C4FM Transceiver Performance Recommendations and provides interoperability with other brand P25 equipment for public safety applications. 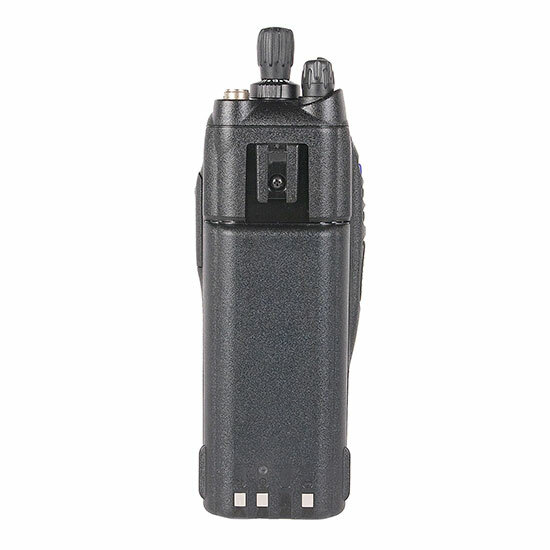 The F9011 series is P25 CAP Compliant on the DHS website and more information can be found on the FirstResponders.gov site. Mixed mode operation allows users to detect and receive both analog FM and P25 digital modes and to transmit either mode depending on programming. Provides 100 individual ID and 250 talkgroup ID memories. Use the display to visually select the person or group to call. AES and DES encryption keeps conversations secure with the optional AES/DES or DES encryption unit. An optional FIPS AES board is certified to FIPS 140-2 for optimal secure communications. Supports P25 OTAR for changing encryption keys over the air. Uses the DVSI's AMBE+2™ vocoder. Call a large group of groups on a trunking network. Dispatcher can hear replies when radios respond to an announcement group call. Save ESN’s in a cloning file to only allow approved radios on trunking systems. The dual priority scan monitors two primary channels alternately, while scanning other channels. The mode dependent scan function automatically changes the scan list according to the operating channel. 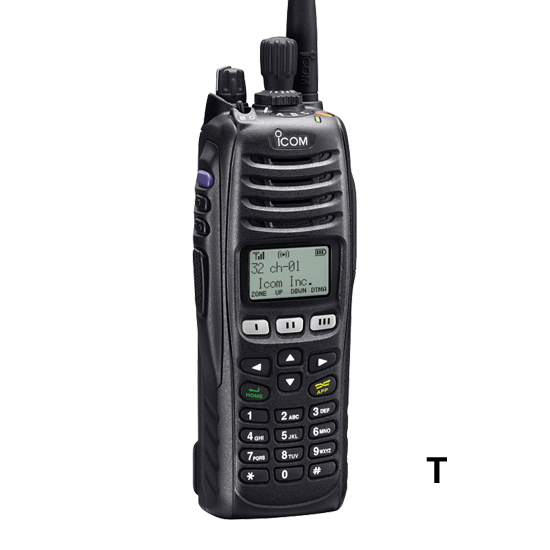 the talk back function with timer beep, TC channel and cancel channel settings allow you to preset the transmission channel when you push the PTT button during scanning operation or cancel the scanning. Toggle switch at the top of the radio turns on the encryption. Three position switch allows user to quickly select an operation zone. Man down unit option sends an emergency signal when the radio is left in a horizontal position for a preset time. Tactical group function allows you to copy memory channels to the tactical zone and temporarily regroup memory channels. VOX function for hands-free operation.